Last Sunday, the sun was shining when the fourth annual L.A. 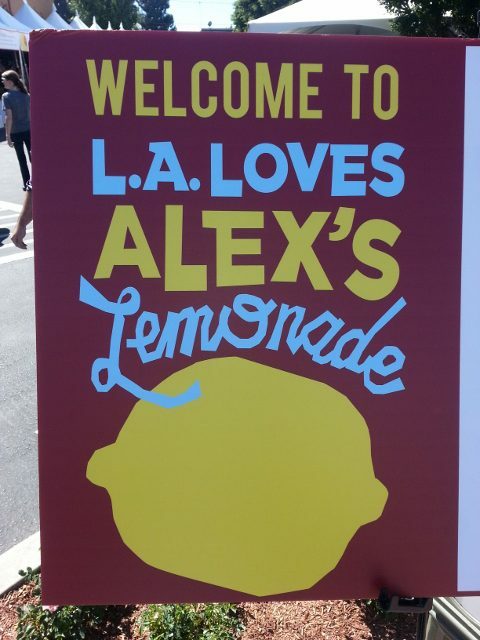 Loves Alex’s Lemonade benefit for pediatric cancer research was held on the lawn of Culver Studios. 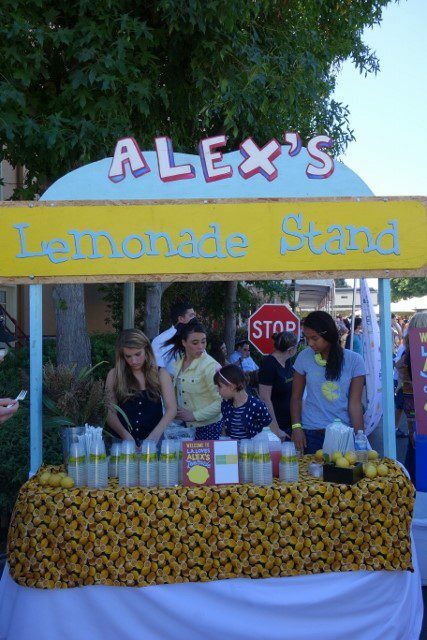 Founded in 2000, Alexandra “Alex” Scott (1996-2004) was a four-year-old neuroblastoma patient who held a charity lemonade stand in front of her home to help raise money for cancer. In one day, she raised $2,000 and by the time she passed away in 2004 at the age of 8, she had raised, with the help of others, more than $1 million. Almost 10 years later, more than $60 million has been raised to fund over 300 research projects with the goal of ending childhood cancer. Los Angeles Chef Suzanne Goin and her business partner Caroline Styne (AOC, Lucques, Tavern), along with Chef David Lentz (The Hungry Cat) created LA Loves Alex’s Lemonade Stand and each year an extraordinary group of chefs, vintners and mixologists donate their time for one of Los Angeles’ best and most worthy food and wine events. To date, the Los Angeles event has raised more than $1 million and this past week’s event raised more than $530,000. Ramen, pho, soups…..there are oodles of noodle dishes to make you feel cozy and happy on these cold nights. This past weekend, to celebrate the Lunar New Year, the First Annual Noodle Bowl Festival took place at the Viceroy Hotel in Santa Monica. From traditional noodle houses to others who put their spin on noodles, seven restaurants from around Los Angeles served warm bowls of noodles to a full crowd. While slurping and filling our bellies, proceeds were raised for My Friend’s Place, a Hollywood-based charity dedicated to assisting and inspiring homeless youth to build self-sufficient lives.